wherever your destination, take your best bike. Part of our original design brief was to make a folding bike that would perform as well as a high end conventional bike, but with the ability to transport it wherever you go. Business trip or holiday, with an Airnimal you can always have your best bike with you. 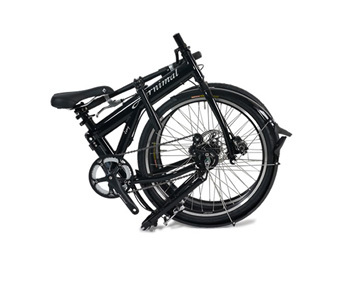 Our philosophy is to design folding bikes that deliver the performance required by demanding cyclists. 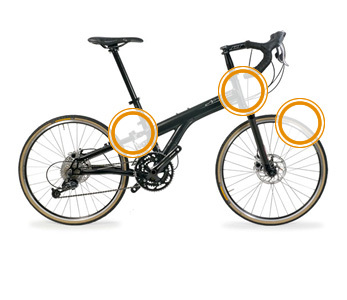 A careful blend of folding technology and geometry allow our bikes to meet these demands admirably. Well positioned folding points, appropriate material and geometry choice, mean that having a bike that folds needn’t mean compromise unfolded! Having the correct riding position is one of the most important factors in how a bike will feel to you. We have designed our range of folding bikes around standard geometry to give the rider a perfect fit. Attracts a lot of attention from passers by!